1 Million for Work Flexibility has more than 70 organizations on board to date as part of our coalition—and counting. We’re pleased to share more information about our supporter Mental Health America in today’s “Spotlight On…” post. You might not associate mental health wellness with the workplace, but the two are very closely tied together. Over the past 20 years, stress-related issues in the workplace have increased, putting someone at risk of developing depression or anxiety problems during their most productive working years. And if you think that these issues only negatively impact the worker’s life, think again. Mental illness (as well as substance abuse), costs employers a staggering $80 to $100 billion annually in indirect costs. 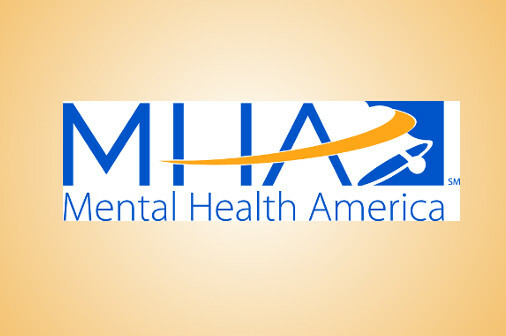 Mental Health America (MHA) is the nation’s leading non-profit dedicated to helping Americans achieve mental well-being through early identification, education, and treatment. For more than 100 years, MHA has helped to fight the stigmas surrounding mental health issues and to promote social justice as well as educate society at large about mental health and substance abuse. MHA advocates for legislation on both the local and national level that affects the lives of people with mental health issues as well as their families. With over 200 affiliates around the country, they work with state and local policymakers to develop and pass laws, regulations, and policies that promote positive mental health. And there is no time like the present. It’s estimated that nearly 1 in 5 Americans suffer from a diagnosable mental health condition each year—and many more are at risk. That’s why one of MHA’s biggest goals is to get every American screened and aware of their mental health as early as possible. MHA also specifically highlights mental well-being in the workplace. They are helping employers to realize the importance of having a healthy workplace by encouraging them to implement health programs that can reduce medical costs, absenteeism, and disability management claims. They are also encouraging individuals to take a screening to assess their workplace health and find strategies that can help improve their work related wellbeing. Investing in a worker’s mental health puts less of a financial and emotional burden on the workplace, management, and employees as well. Theresa Nguyen, MHA’s Director of Policy and Programming states, “At MHA, we believe that there is nothing that supports positive health more than having a job you like.” 1 Million for Work Flexibility stands with Mental Health America to help ensure the American workplace is a safer, happier, and healthier environment for everyone. 1 Million for Work Flexibility is proud to have Mental Health America’s support as we work to expand access to work flexibility for employees across the country. Watch our recent webinar—Video: Expert Tips for Managing Workplace Stress. For a full list of our supporter organizations, visit our Who We Are page.